The scene is as significant as it is hilarious because it not only confirms that Lee is playing the same character in every one of his MCU cameos, but it also introduces the Watchers into the MCU. This might come as a surprise to some fans as the Watchers – a race of intergalactic overseers – are mostly connected with the Fantastic Four in the comics. And the rights to Marvel’s First Family are, of course, currently sitting with 20th Century Fox. So, how come Marvel was able to use them? That’s something we didn’t know before, but we can see how it makes sense. 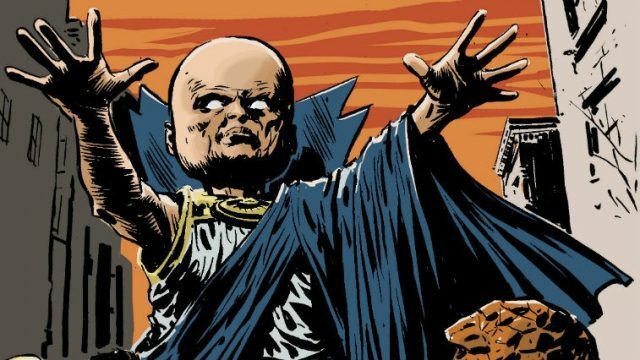 In this case, Fox probably own the rights to Uatu, the Watcher for Earth’s sector who has interacted with the Four in the comics. However, Marvel still own the concept of the Watchers as a species and can use them at their leisure. Likewise, Feige also mentioned that Marvel own the Skrulls, while Fox have the rights to specific villain the Super Skrull. Also worth noting is that this isn’t the first time that Marvel and Fox have shared characters. It was previously revealed that Ego the Living Planet was once owned by Fox until Marvel made a deal with them to feature the character in Guardians of the Galaxy Vol. 2, where the studio allowed them to use Ego if they allowed Fox to change the powers of Negasonic Teenage Warhead for her appearance in Deadpool.